I am having a problem finding voice recordings in my iPad. I already had this problem on my phone and none of the blogs nor threads on Apple's site have worked. So i used the voice recorder app on my iPad and now in my iTunes I don't see anything that I can even play. Nor do I even know what those circles are. Browse other questions tagged itunes ipad audio mp3 . 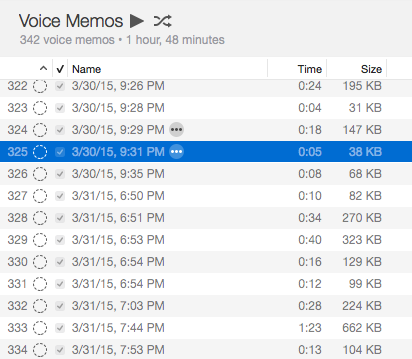 How do I delete voice memos off of itunes?